The International Reggae Poster exhibition opened last week at the headquarters of the Ministry of External Relations (SRE) in Mexico City. The inauguration was conducted by Vanessa Rubio Márquez, Assistant Secretary for Latin America and the Caribbean, and Sandra Grant Griffiths, Jamaica ambassador in Mexico. Reggae is one of the most important cultural events in Jamaica and a stamp of his influence abroad . This genre is also important element contributing to the identity of the people of Jamaica, which has led the government of that country to promote its inclusion in the list of intangible cultural heritage of the United Nations Education, Scientific and Cultural Organization (UNESCO). The competition is organized every year in Jamaica during February to commemorate the ” Reggae Month ” to highlight the globalization of this genre and its positive impact internationally. The exhibition, jointly organized by the Embassy of Jamaica in Mexico and the Foreign Ministry , will be open until 7 March. You can see pictures and more information about the exhibition here. 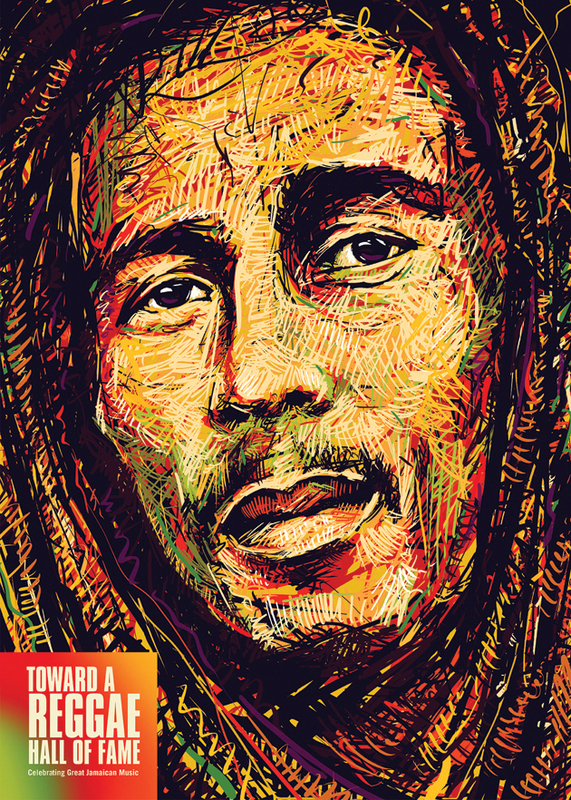 The international Reggae Poster Competition is currently open for entries for it’s 2014 edition. Find all the information on their website.